Amalorpavi Office Complex, No.4, Dindigul Road, Tiruchirappalli-620 001. Students from different parts of India learn Dance and music through this programme. 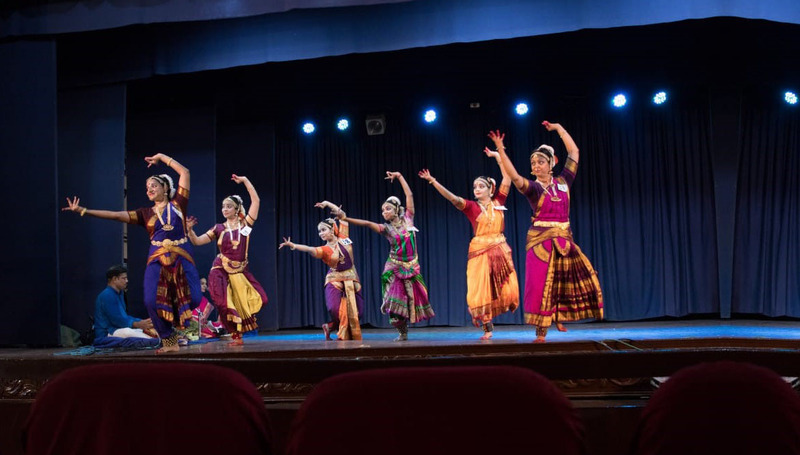 On completion of their training, the students become full-fledged Professionals with creative and leadership qualities and eligible Instructors of Fine Arts in Educational Institutions or to run their own institutions for Dance and Music. The college was Re-Accredited with 'A' Grade (CGPA 3.67 Out of 4) by NAAC during his tenure in 2012 . Under his able guidance , the strength of the students of the Distance Education Programme in an academic year has made a leap from 262 students to 580 students. Set up the Founder's Memorial. Brought out very powerfully and beneficially the Communicative Dimension of the Indian art forms and their perennial share in elevating the urges of the people . Our Students share . . .
"Learning Bharathanatyam through TDES Distance Education Programme is a rare and wonderful opportunity to the passionate dancers all around the globe. This Programme benefits in exploring the deepest essence of the art form which also allows the dancers to follow their passion simultaneously with their distinct professional achievements. TDES continues to be an excellent platform, provides outstanding teaching faculties to guide each and every individual based on their professional skills which adds tremendous inputs in each session. Age is not a handicap in this united and open minded zone, where all the age group dancers interact and share their knowledge. This programme comforts the art lovers making it possible to pursue their passion for this art along with their primary profession in spite of their location or any other constraint. The value of this programme is dictated in its own way and complements the beneficiaries. Since all the study materials are provided in prior to the stipulated contact classes, it is possible for us to prepare for it, and also the queries regarding syllabus can be enquired in the contact classes which allows us to know the art form in its deepest depth. The meticulous study materials given in CDs (audio and video) and printed books, the careful and efficient teaching in the contact classes, the assignments, seminars and dissertation work, mark the high standard of this programme. I am very delightful to be part of this TDES Distance Education Programme. That's where my passion and dream came true with this incredible learning process." 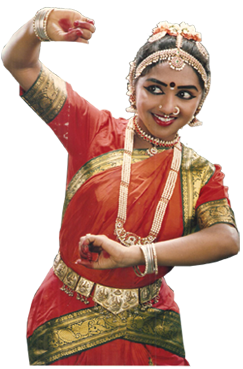 Ramya Shankaran is Professionally Trained in Bharathanatyam, Mohiniyattam, Kathak and Karagatam. She has undergone Training under Prof. C.V. Chandrasekar. She got selected as "One to Represent Tamil Nadu chapter and was one among the seven from all over India". She has undergone basic courses in Bharathanatyam in Kalai Kaviri School of Fine Arts for six years. She has participated in 14 State Level, National Level interschool competitions and won prizes. 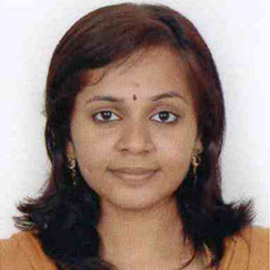 She has Won 4th place in National Association for Students of Architecture (NASA) for SAARC in the year 2011.